Some people prefer spending their vacation on islands and somehow some people prefer having their holidays by land. Perhaps these kind of people a fear that due to the fact that islands have a closed, restricted territory, the sights and facilities these places have to offer might not be enough for a whole week, or there aren’t enough opportunities for entertainment. However, in the list below anyone can find something to his liking. If we want to see less cities and more natural sights.This island, that is only 64 km2 big and is located quite close to Athens has been one of the most popular greek islands for nearly a century. 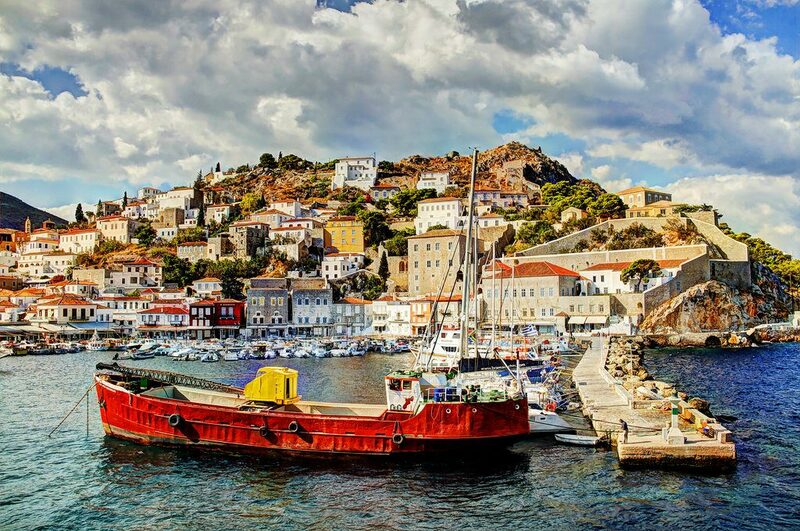 Although Hydra is the most notable island in the Saronic islands, its main sights are two abbeys, a nunnery, a castle and a historical museum. Despite its few man built places of interest, its natural sights are so breath-taking, that several movies were shot here, even one starring Sophia Loren in the 50’s.